Ben was shook up when two of his work colleagues came out. Macho construction workers aren't gay. They just aren't. And Ben can't stop thinking about it. And he can't stop thinking about Tom. Ben considered himself liberal and broadminded but also straight. He shouldn't be obsessing over gay men. ***If ***Ben falls in love with A MAN how will he tell his family, his friends, and his young son? Ben has responsibilities as a single dad, after all. Tom was slowly getting over the heartache of his past when he was swept away by a straight-acting but flirty scaffolder. Working his way through casual hookups raised Tom's spirits, after a long dark period of depression and grief. Tom has enough baggage of his own. Should he spend more time with Ben when he discovers Ben was only straight acting? Is it time for Tom to ditch the low paid work, pick up the threads of his life and resume his own professional acting career? A feel-good, love at first sight gay romance. There's lots of kissing and little angst. Set in Britain with (mostly) American spelling. 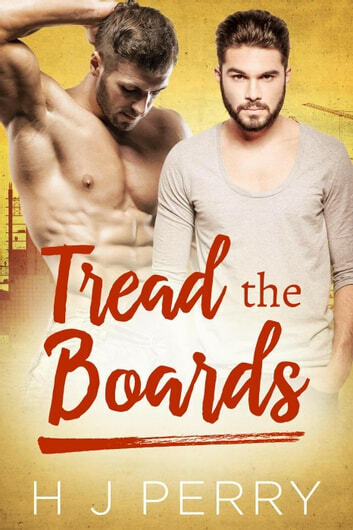 A gay romance featuring a gay actor and a bisexual construction worker. Coming out later in life. Gay and bisexual men in a macho workplace culture.